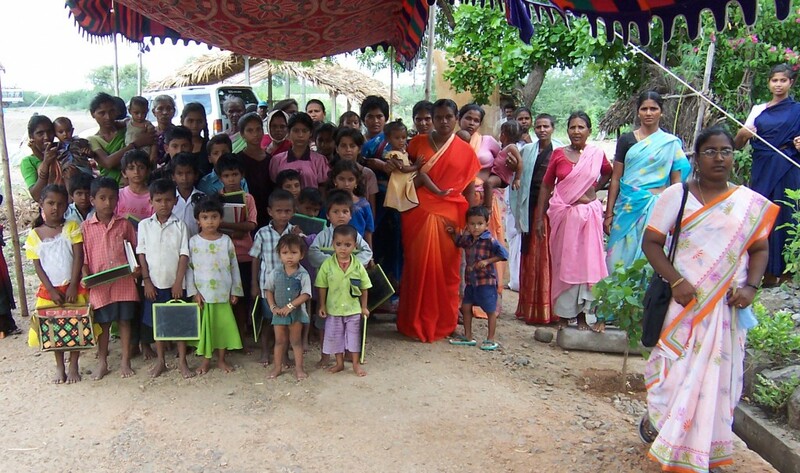 In many cases, children from the slum villages have been able to attend school only sporadically. This can be attributed either to a lack of finances or the need for the child to work to help support the family. This means that the child is not able to do the school work appropriate for his or her grade level. In order to prepare the child to do the work in his or her grade, Hope and Help has established bridging schools. These schools are held in the slum villages. The emphasis is on teaching the basics so that the child will be prepared for education at Veda Residential School. While the emphasis is on bringing a teacher into the village, the development of the bridging schools also means that the children will have a wholesome noon meal (perhaps their only meal of the day) as well as access to medical care. Participation in a bridging school also helps to prevent trafficking because the child is in school and accounted for and if they don’t show up for school someone checks on them. Teachers also educate the parents to help prevent them from selling their children into slavery. This kind of accountability deters would be traffickers from taking and buying children. You can be a part of this effective ministry by sponsoring one or more children for only $20/month.